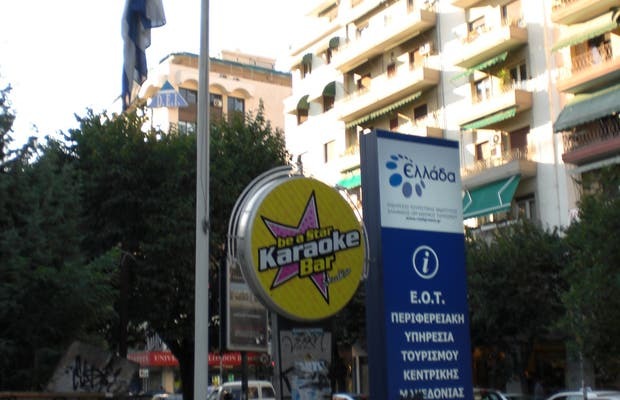 The tourist office of Thessaloniki opens late and closes early. It is a pretty big building, which is also the tourism ministry office, and is responsible for promoting the region. There is much information about the city, its Byzantine churches that are part of UNESCO world heritage, but also on the ancient ruins that surround the city, the islands of the archipelagos around and also how to reach the capital. What I think is a shame is that they assume that you're just going to visit the city, and are terrible for giving directions on how to get to the next town or futher, for example there was nothing about Albania or Macedonia, and the daily buses that go up there.